CONDITION: Very Good: light shelf and reading wear, award sticker to inner title page. Thomas and Grandpa go to the beach. It is an Australian summer. The sun is shining, the gulls are screeching and the sea is singing. 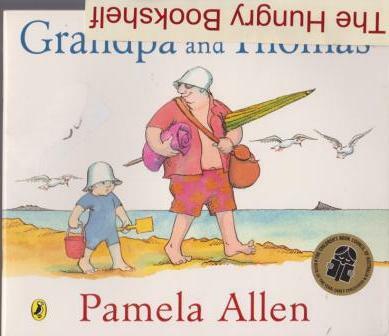 In this lovely picture book for the very young, Pamela Allen gently unfolds the special relationship between grandchild and grandfather.